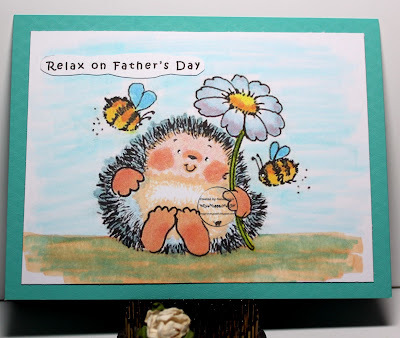 Grammy's Attic: Father's Day Celebration ! 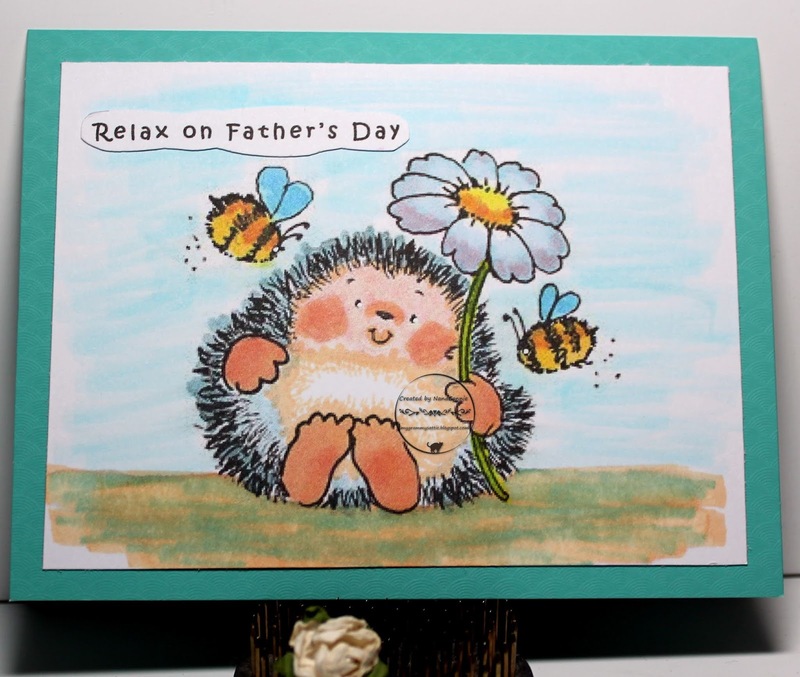 An adorable card for Father Day with the cute PB image, many thanks for sharing with us at Penny Black and More 'In the Garden' challenge. What a great Father's Day card! Love that hedgie!! This card is SUPER cute!! Love the adorable image!!! Thanks for joining us at DCD this week! Sooooooooo sweet, love your colouring. This is a really sweetie - so cute.